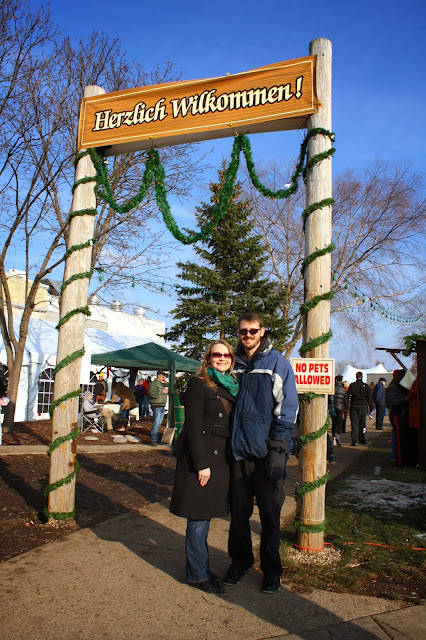 Craig, my parents and I went to the German Christmas Market in Oconomowoc on Sunday afternoon. This is the second year of the market and this was the first year I had heard about it. Since I love German Christmas markets, and well Germany in general, I was excited to attend one this year! Next year, Milwaukee will be getting their own as well. The market was set up in downtown Oconomowoc, along the beautiful lake. We walked around a bit and got the lay of the land. 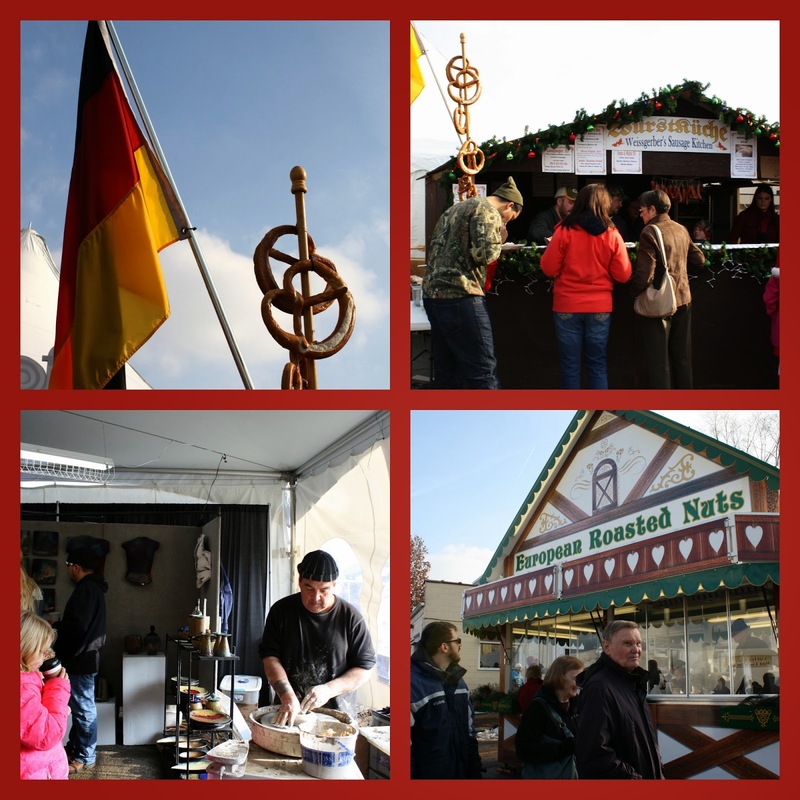 There were vendors selling German and other goods, restaurant vendors with bratwurst, pretzels, desserts, glüwein, a cookie tent for kids to decorate their own cookies and Santa was there, of course! Craig teased that I had to speak German the whole time we were there, so I started speaking it. Immediately, a guy turned around and started speaking German to me and saying that his wife was German. He asked if I was from Germany, but I told him I was just German-American and then he wished us "Frohliche Weinachten." The Winter Garten had live music, drinks and food and plenty of seating. The warm pretzel we had was imported from Munich. It was huge, so my mom, Craig and I all shared it! Craig ordered a bratwurst and I wanted some warm apple strudel with lots of whip cream on top! The market was a lot of fun and something different to do on a Sunday afternoon! It got me in the holiday spirit! The only thing I didn't end up having was glüwein (mulled wine) because I thought the price was too high and it didn't come with a souvenir coffee cup, which most German/Swiss Christkindlmarkts and the Chicago market offer. The market was located at the intersection of Wisconsin Avenue and Main Street. Admission to the market was free. I didn't realize that the Christkindl Milwaukee Market didn't happen this year. Milwaukee Food Tours really talked it up a few months ago, it's too bad it didn't come together this year. Although I had never heard of a German Christmas Market until living in England, where all the vendors actually came over from Germany. I wonder if it's just too foreign a concept to be successful in Wisconsin. I hope not! Good to know there's other German markets in the area. 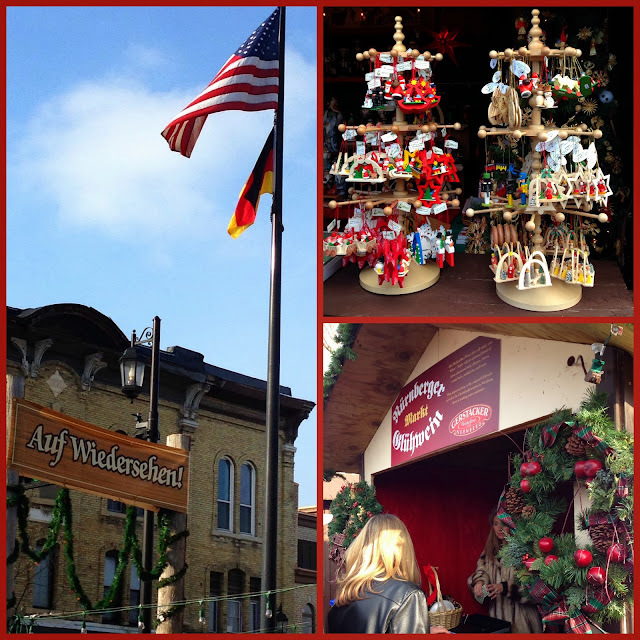 I went to Chicago's about 10 years back and I've been jonesing for another German market fix. Did they have Gluhwein?